I'm sure that by now everyone and their beauty loving aunts have heard of bioderma. Every beauty blogger seems desperate to get their hands on it, however not everyone is fortunate enough to be able to pop over to France to get it, or spend a small fortune in the minimal amount of shops that do stock it here. In comes the new Micellar solution from L'Oreal Paris. 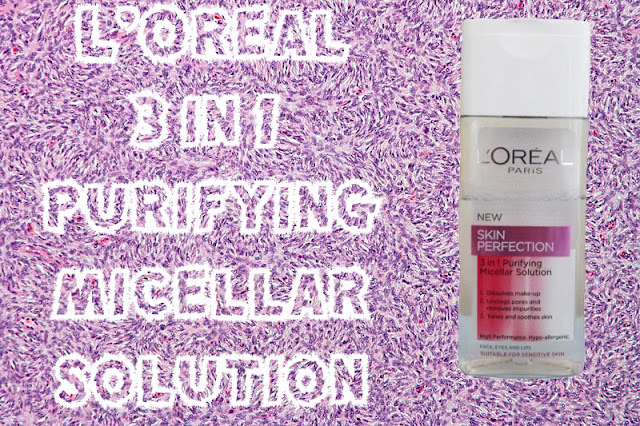 Its similar to the Bioderma micellar solution, but at a fraction of the price. And boy does it achieve. 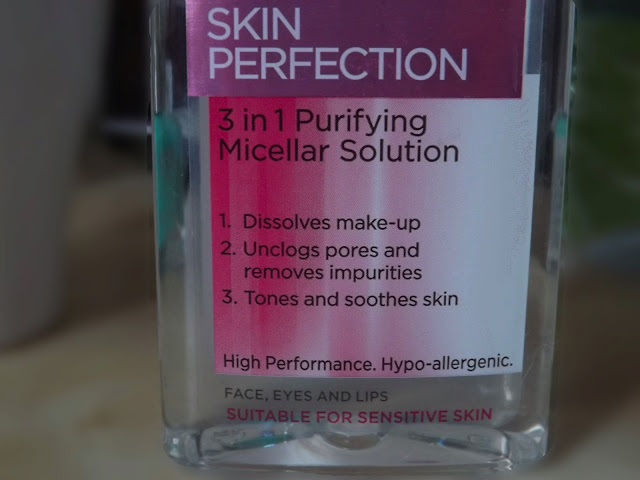 I am the laziest person when it comes to taking makeup off a night, but this makes it a breeze! Literally one small cotton pad is needed for my whole face and eye area! The only complaint I can find is the smell- but i think i can look past that. It usually retails at around £5 but when it was on deal when i purchased it for only £2.50 so keep your eyes out! What do you think about L'Oreal Paris' latest offering? What's your preferred make up removal technique?